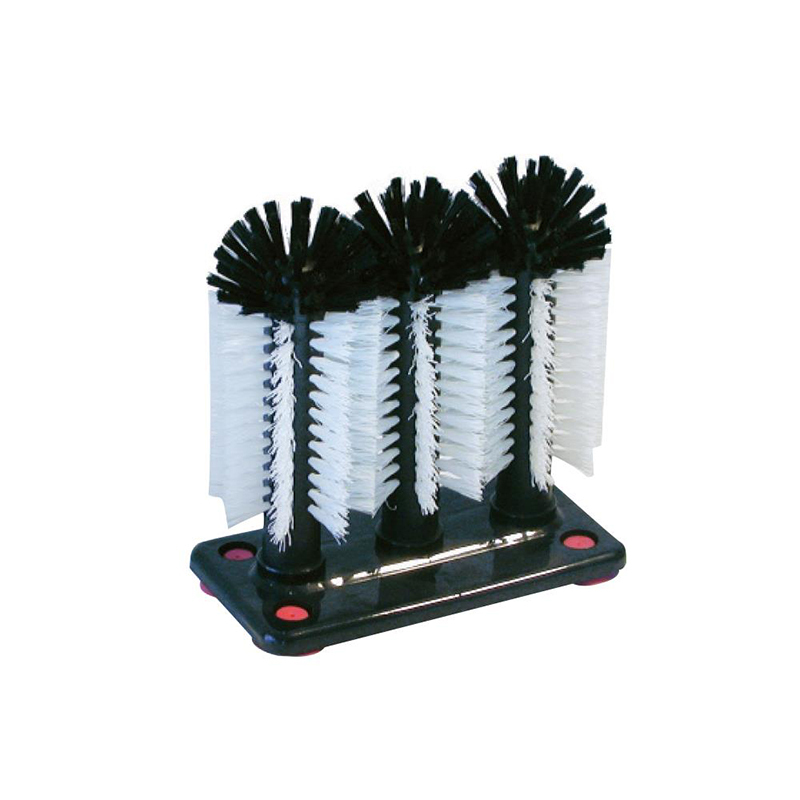 Here's to a more economical choice in dishwashing with Glass Washer Triple Brush with Suction Cups. This brush is a needed tool at every restaurant or bar or anywhere that quick and safe washing of glasses is needed. Ideal for catering and event centers to clean large quantities of drinkware. 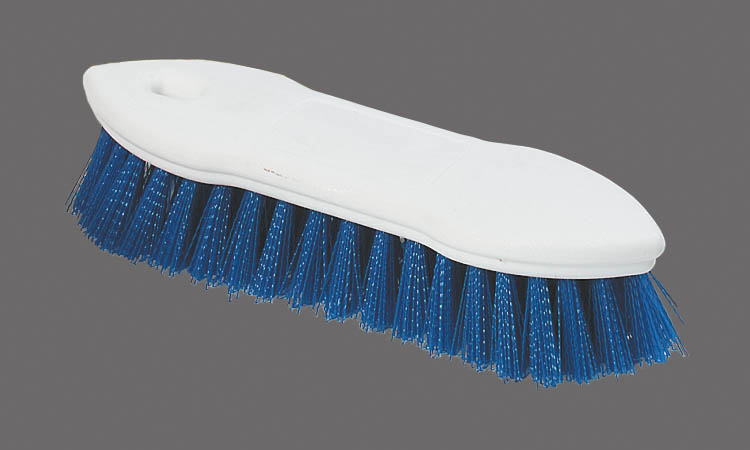 Sparta® Meteor ® Pastry /Basting Brush 2"
Molded into-the-handle hook hangs on lip of crocks or other containers to prevent bristle burn, melt, or distortion from resting against hot pan bottoms.Hook elevates bristles off of counter tops to keep bristles clean and to help prevent contamination. 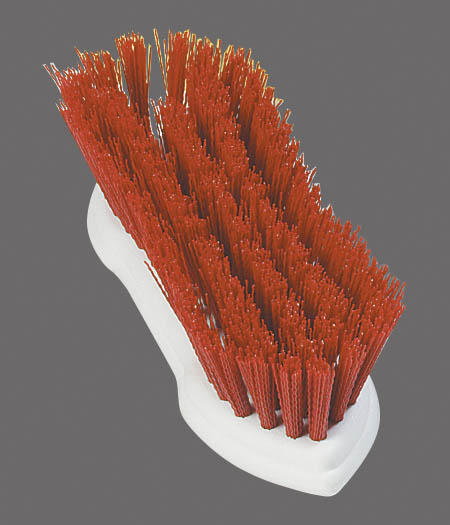 Double-boiled, bleached, sterilized premium Boar bristles.Bristles are molded into handle to prevent bacteria harboring air pockets.Molded into-the-handle hook hangs on lip of crocks or other containers to prevent bristle burn, melt, or distortion from resting against hot pan bottoms.Hook elevates bristles off of counter tops to keep bristles clean and to help prevent contamination.Double-boiled, bleached, sterilized premium Boar bristles.Bristles are molded into handle to prevent bacteria harboring air pockets. 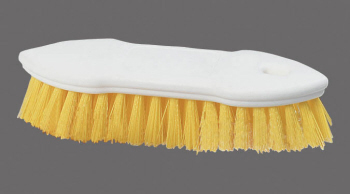 One piece smooth finish plastic handles are easy to clean.Bristles are epoxy-set to ferrules to prevent bacteria harboring air pockets.Tapered Nylon bristles with chisel-point trim provide superior surface coverage. 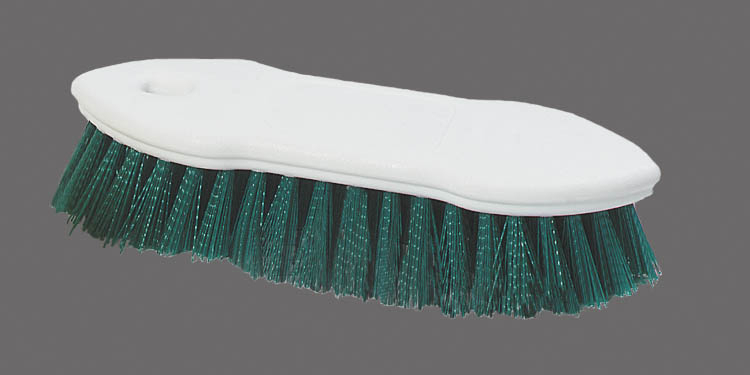 Stiff Polyester bristles staple set into comfortable with easy grip handle styles. All of our hand scrub styles reach into tight crevices and corners. Each has a plastic block; won't crack or splinter. 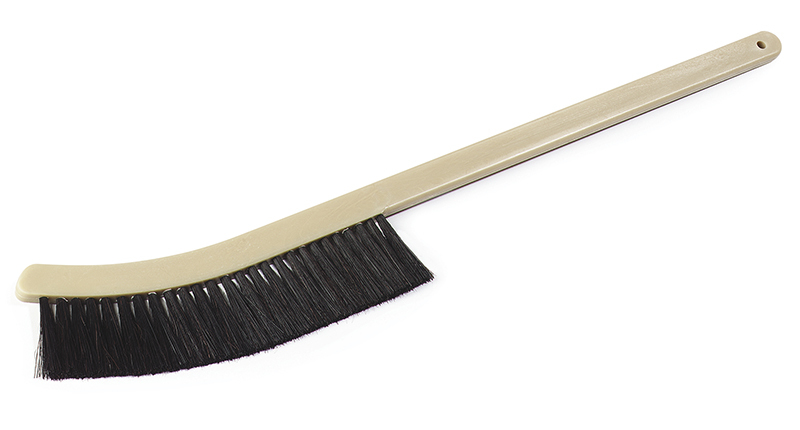 2-1/2" wide bristle trim makes clean-up fast and efficient. Handles provide a slip-resistant, durable grip that will not crack or splinter. 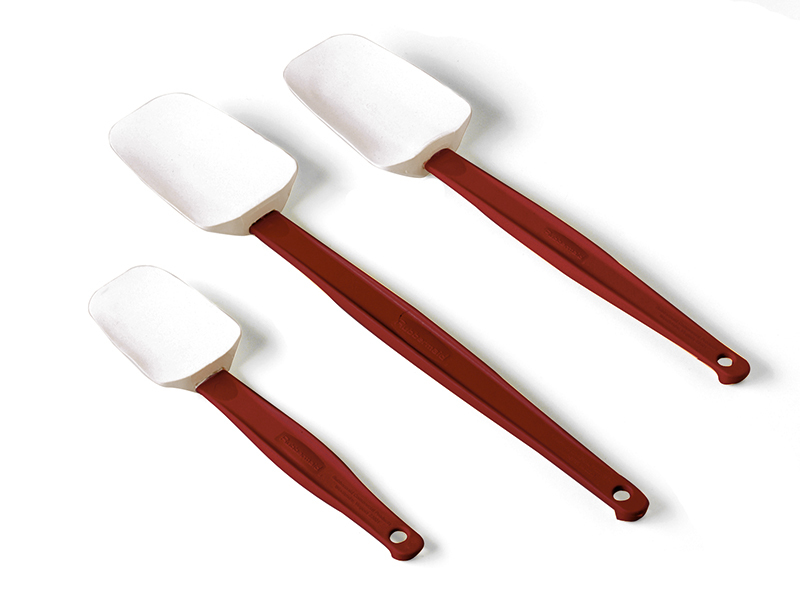 Spoon-shaped spatula, traditional flat blades for scraping and spoon-shaped blades for easy spooning, scooping and spreading. 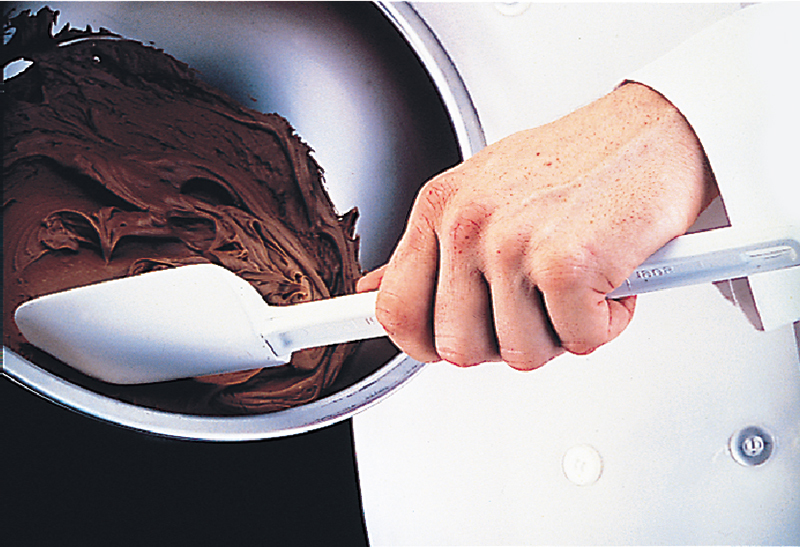 Blades are moulded onto handles for permanent bond. Seamless construction resists dirt or bacteria build up. 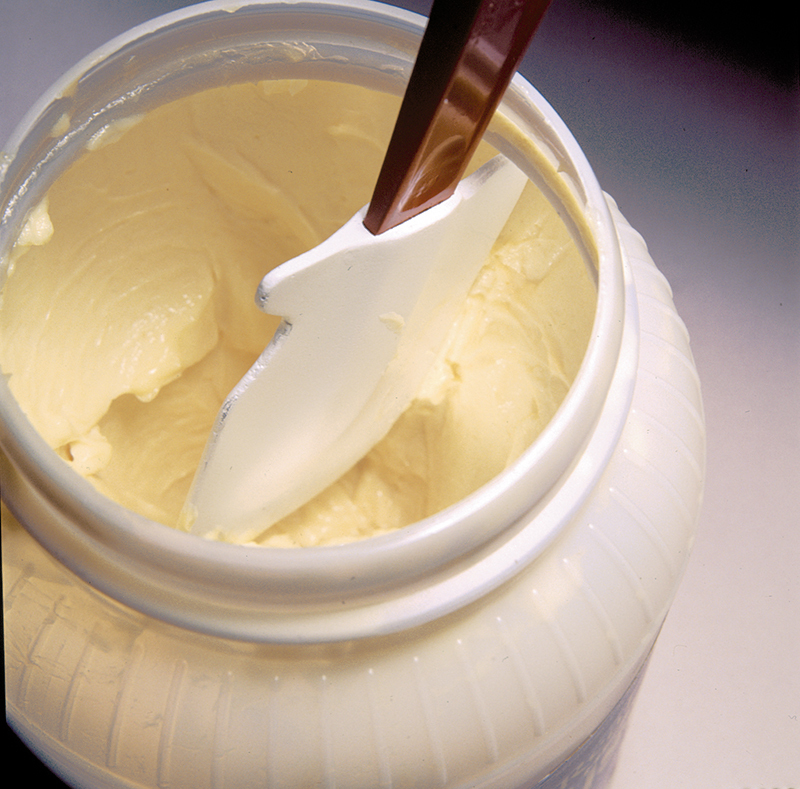 All handles and blades are white. Commercial dishwasher safe. Certified to NSF Std. #2. 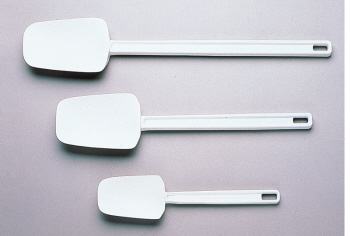 Available in 24.1cm, 34.3cm and 41.9cm. 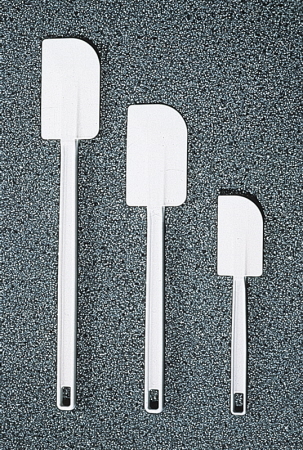 High heat spoon scrapers, all-purpose scrapers that resist scratching and melting. 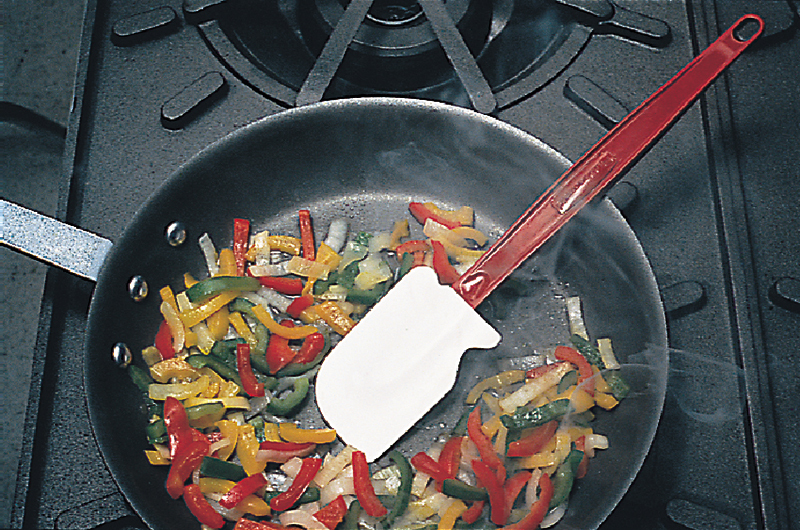 These high heat scrapers resist heat up to 500°F/260°C; dishwasher safe. 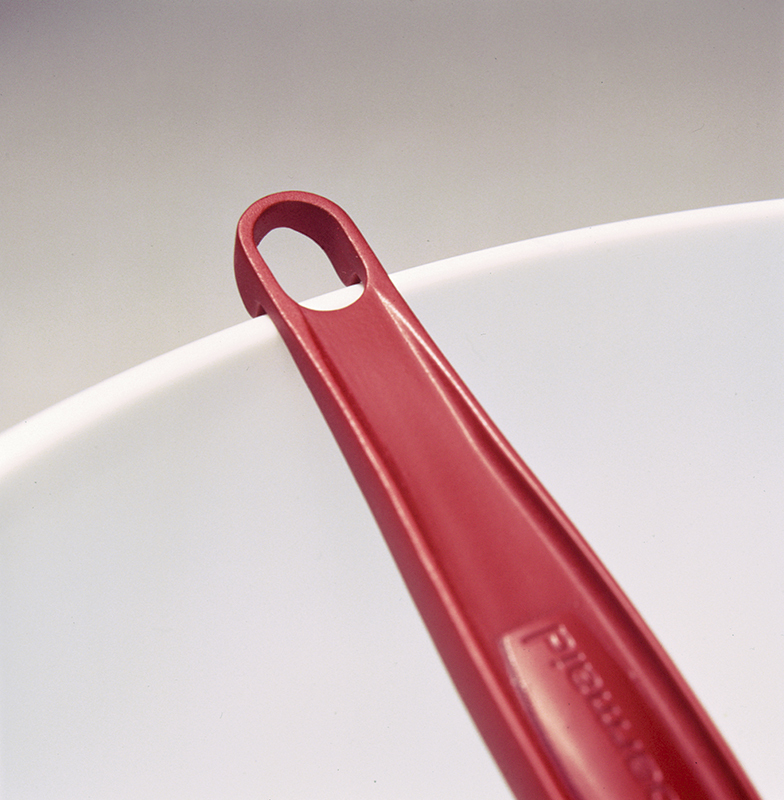 Cool-touch handle is designed with employee safety in mind. 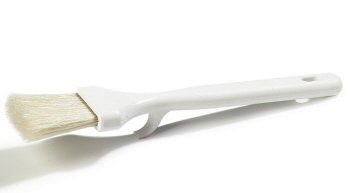 Blades are stain resistant and will not scratch your grill or cookware. All handles are red with white blades. All are certified to NSF Std. #2. Commercial dishwasher safe. Available lengths: 24cm, 34.3cm and 42cm. 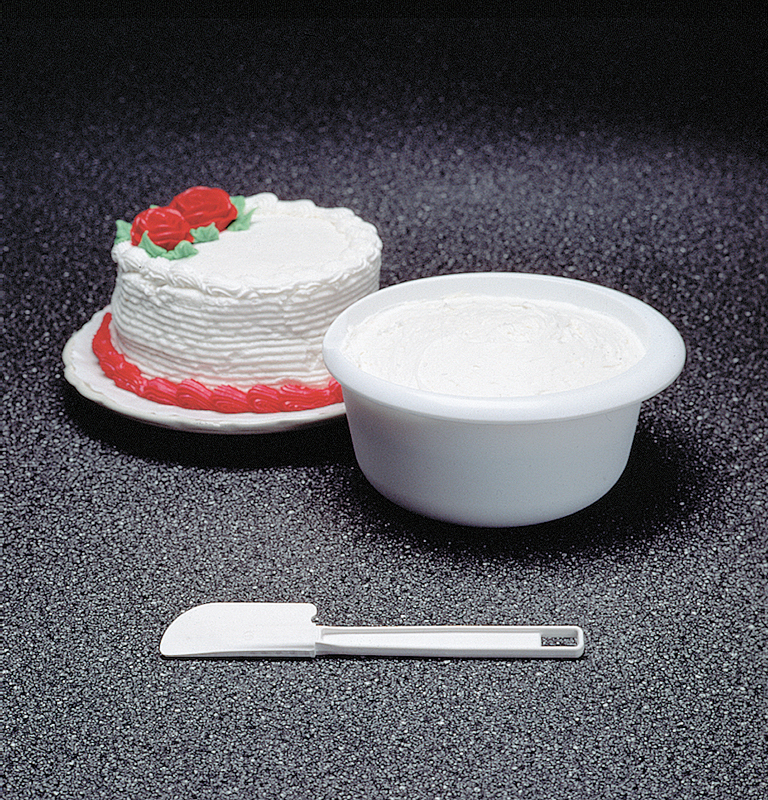 Rubbermaid's high heat scraper, all-purpose scrapers resist scratching and melting. 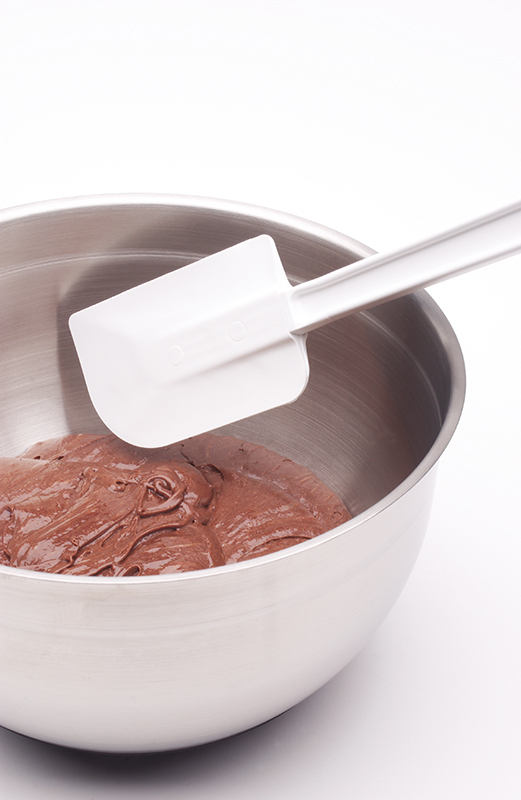 These high heat scrapers can resist heat up to 500°F/260°C; dishwasher safe. 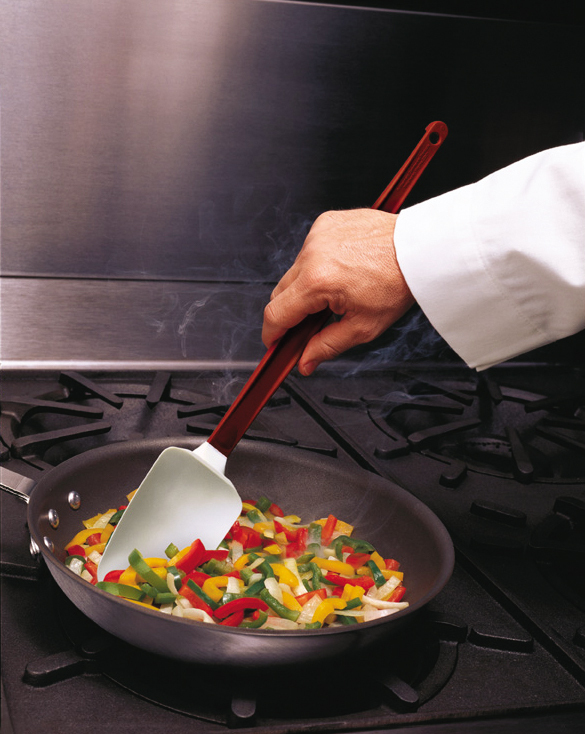 It has cool-touch handle is designed with employee safety in mind. 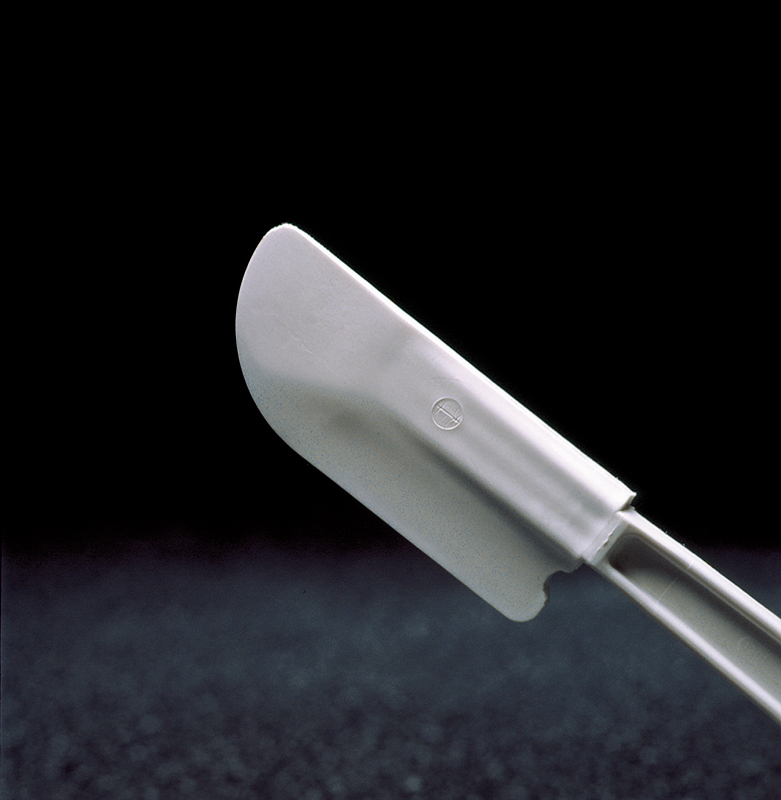 Blades are stain resistant and will not scratch your grill or cookware. 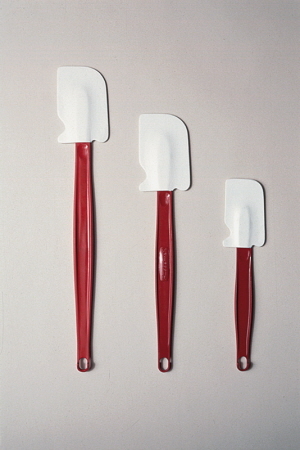 All handles are red with white blades. All are certified to NSF Std. #2. Commercial dishwasher safe. Available lengths 9.5", 13.5" and 16.5". 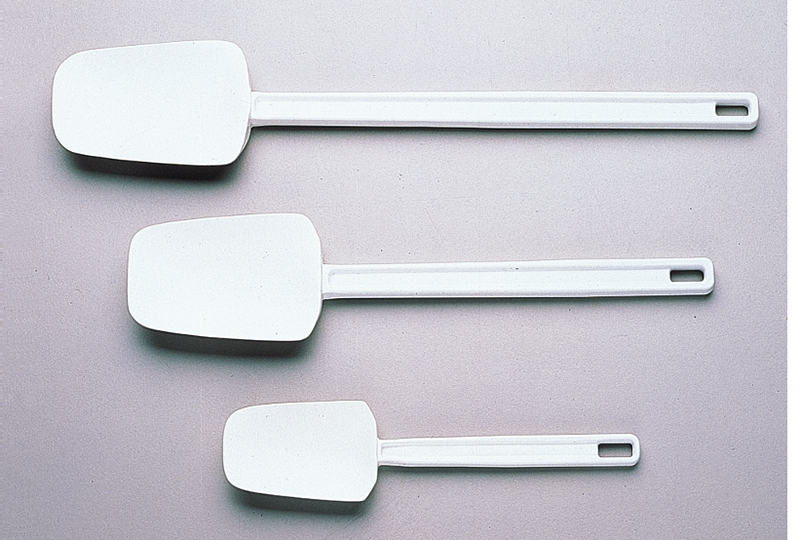 Traditional flat blades for scraping and spoon-shaped blades for easy spooning, scooping and spreading. Blades are moulded onto handles for permanent bond. Seamless construction resists dirt or bacteria build up. All handles and blades are white. Commercial dishwasher safe. Available lengths 9.5", 13.5" and 16.5". 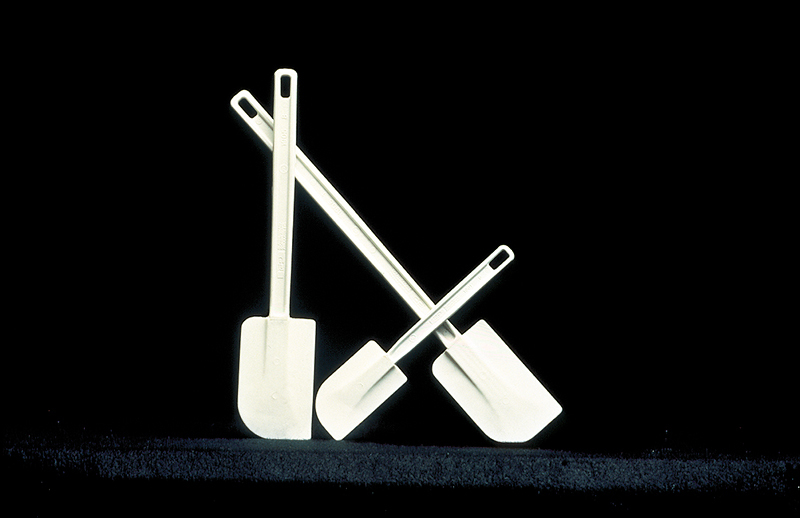 Traditional flat blades for scraping and spoon-shaped blades for easy spooning, scooping and spreading. Blades molded onto handles for permanent bond. 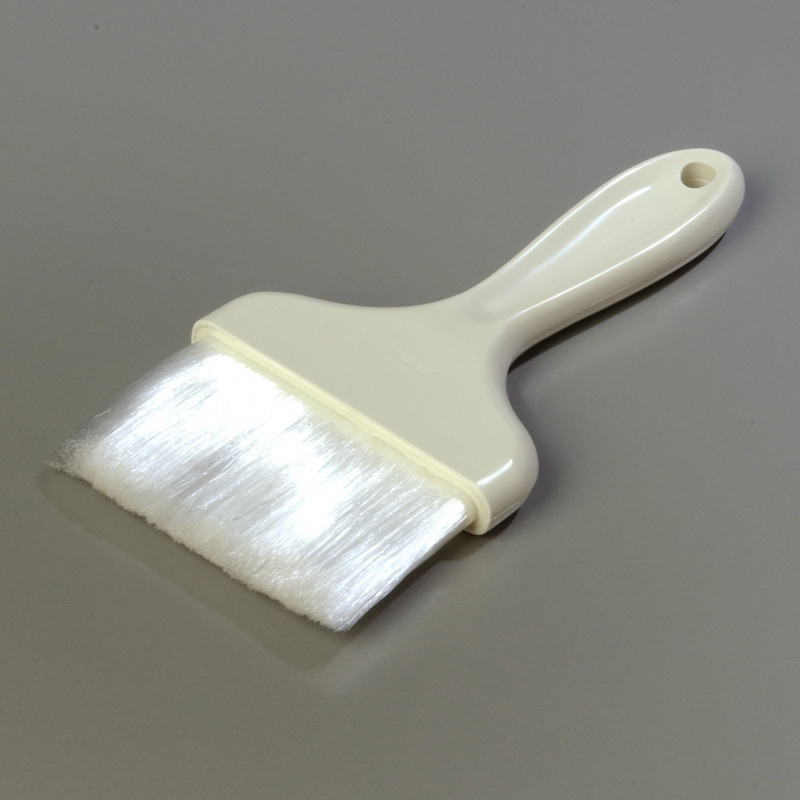 Seamless construction resists dirt or bacteria build up. All handles and blades are white. Commercial dishwasher safe.